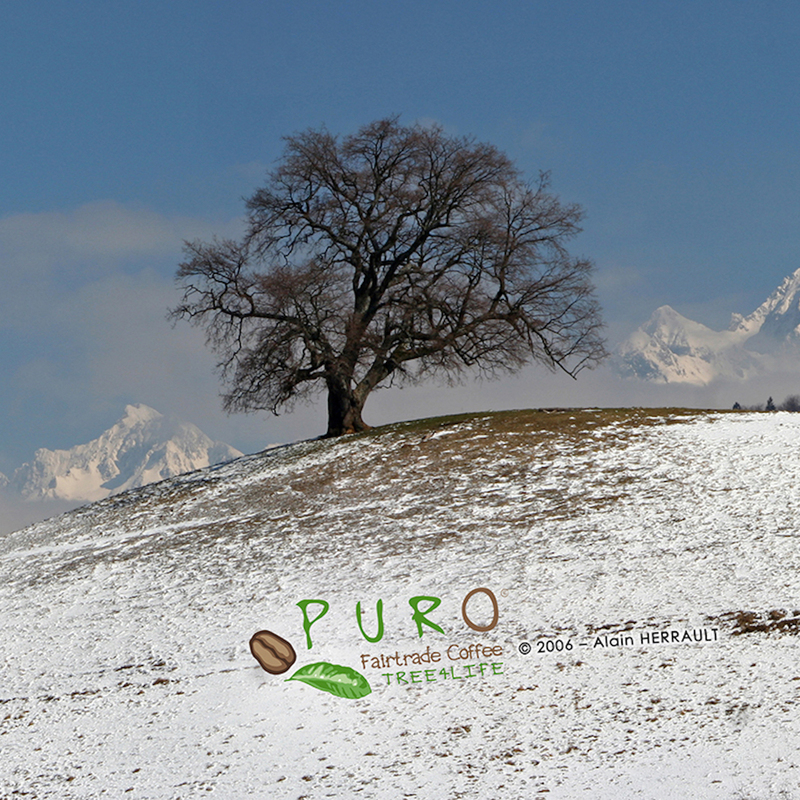 Puro Fairtrade Coffee has protected so far 2,600,000 trees within their tropical reserves. In January 2016, the company set up a European project concerned with recognizing and durably protecting trees with inseparable vegetal and human roots. 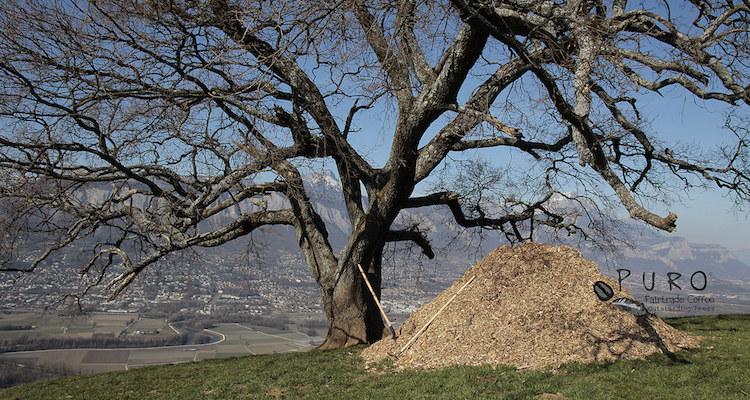 The first one is an emotional tree that can be seen from Grenoble and more than 15km far in the Gresivaudan valley. The Venon Oak is located in a private pasture. An unspoiled ‘lighthouse’ both vegetal and urban, but suffering from human presence. A complete record was forwarded to the French association A.R.B.R.E.S. in order to have this age-old oak classified as French Outstanding Tree. 5 tons of fresh mulch were driven above 600m in altitude to regenerate its root system. An information and educational panel was planted, and a Facebook page created in tribute to the most photographed tree in the French Alps. These actions have been rewarded with a national label what was awarded on April 8th 2017, by Georges Feterman. A very special day when the concept ‘Tree of Life’ really became significant!